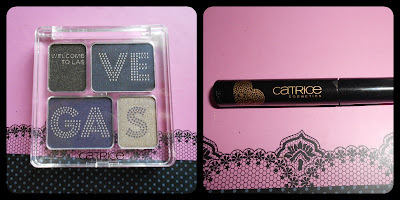 Today I was really surprised to stumble upon a new Catrice makeup collection at the university health shop - one that I haven't heard of and hadn't seen any reviews of. 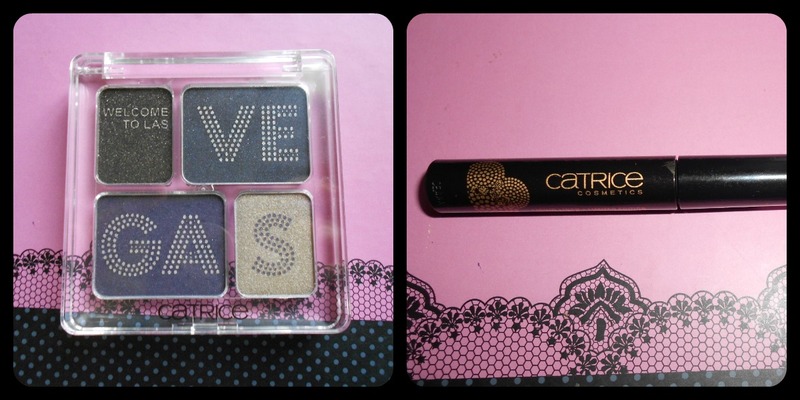 It's the Catrice 'Welcome to Las Vegas' collection. I though is it possible that it's so new that I've heard nothing about it? So I've just arrived back home and I've googled it, and guess what? This collection has been out since November 2011. I don't know how it ended up being on sale now in Malta? 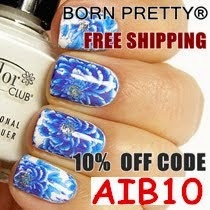 Any of you know if it was for sale back in 2011? Maybe they had a surplus of stock? Boq. The eyeshadow quad is called 'Curtain Up' and I love the combination of colours - they're full of shimmer. There's a champagne, purple, greyish, and black colour - the darkest one has gold shimmer in, the rest silver. It has cute wording on the shadows but (obviously) they'll soon be gone because they're just a print. I really love this, but! the only problem I had with it was when I tried to swatch them on my arms, the colour just wouldn't budge from my fingertips! It was like it was stuck there hah (hence why I just took a photo of my finger tips). Don't know if this is a good thing or not cause I have yet to try them. Second item I got was this black liquid eyeliner full of gold shimmer in it, called 'Drama Queen'. Don't know how many times I'll use this (if any) but it just grabbed my attention. It is lovely, even though in the swatch pic it looks more green than black. It has a stiff pointy applicator which is how I like my liquid liners to be. I tried smudging it after I allowed it to set (after a minute or so) and it wouldn't budge, so that's a plus! Have you ever heard of this collection before? !